The block area within our school environment is one of the most popular places of play for the children. 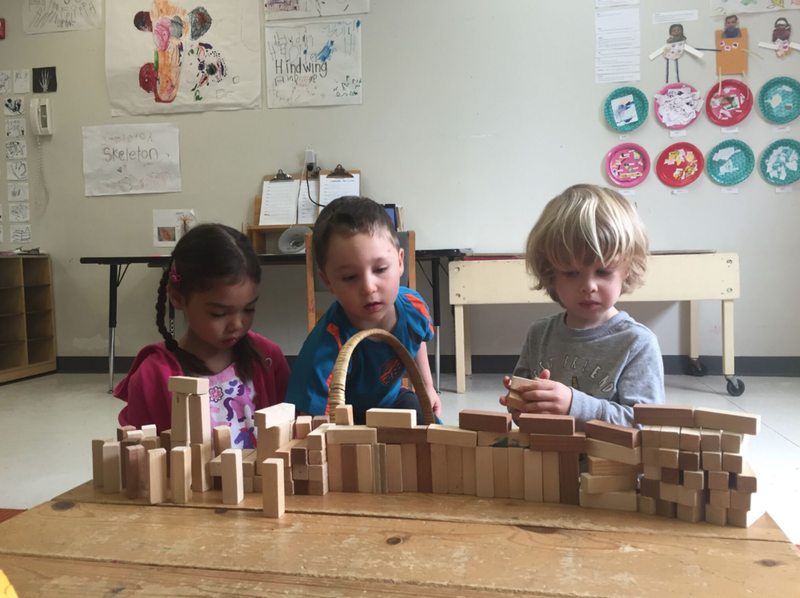 They love creating structures using the many materials that the area offers. 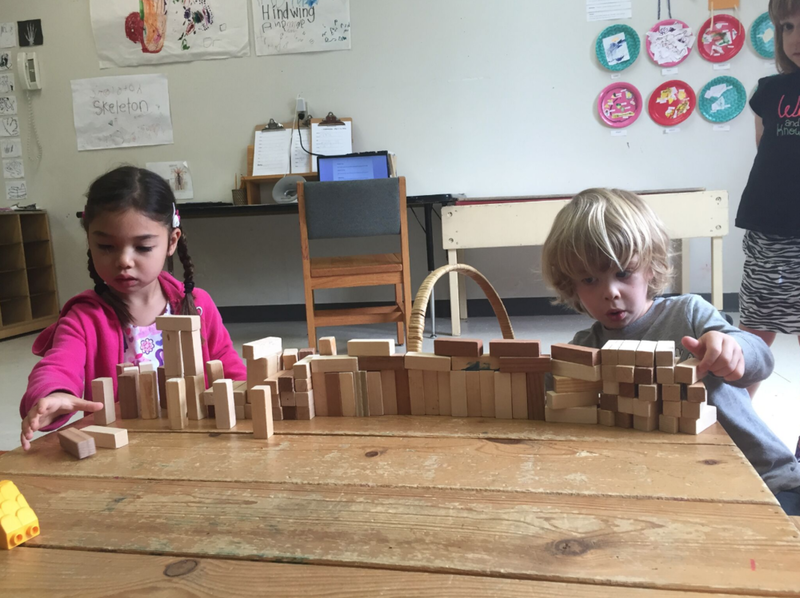 Working with blocks instills a more thorough understanding of geometry in regards to shapes and space (two-dimensional and three-dimensional). 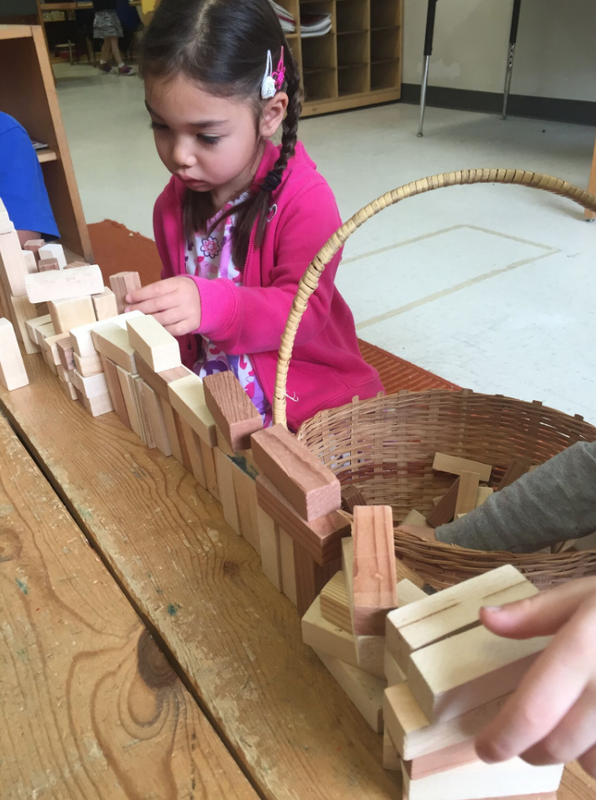 Blocks also serve as a wonderful tool for creative expression, allowing the children to put their imagination to use in whatever way they desire. The team element added extra value to this experience because it allowed the children to improve upon their social skills. Working as a large group encourages children to practice communication and foster new relationships. Teamwork, addressing conflict in a respectful, purposeful manner and understanding the value of each individual’s role in a group are all important skills learned as a result of experiences like this one. For an in-depth explanation of the value of block play and how it relates to our philosophy, click here.